WAYout works with street youth and disadvantaged young people, offering them the opportunity to have a voice through creative expression and to learn skills that can lead to employment or re-engagement with education or simply open the door back home. We have an open door policy and no time limit on how long members stay with us. We find that it takes up to two years for someone who has been on the streets for years to realise that they are capable of learning skills and to start to change their lives. Once they start to achieve something they often ask for support to go back home and be reunited with their families or communities for the first time in years and the next step is to try and get off the street. We have a grants system to support those wanting to get off the street into homes or travel to meet family. Approximately 30% of the 18-35 year olds we work with were combatants during the ten year conflict – a volatile and excluded minority who felt society had rejected them, who were unemployed and had nowhere to live. But now, following the opportunities offered them by WAYout, they have other goals in life and people are no longer afraid of them. We are committed to continue working with ex combatants. WAYout also works with NGOs and other organisations working in similar areas or providing support to marginalised groups- such as Advocaid, WaterAid, GOAL, Street Child, Pikin Paddy, Marie Stopes and Emergency. WAYout is not about statistics although we are proud to quote them-(see below). For us it is about knowing the individuals and not giving up on them. We are prepared to keep trying until we find what works for each young person. We have had considerable success supporting youth to change their lives. WAYout’s flagship project is based in Sierra Leone using music, film and arts to enable disadvantaged and conflict affected young people to express themselves. 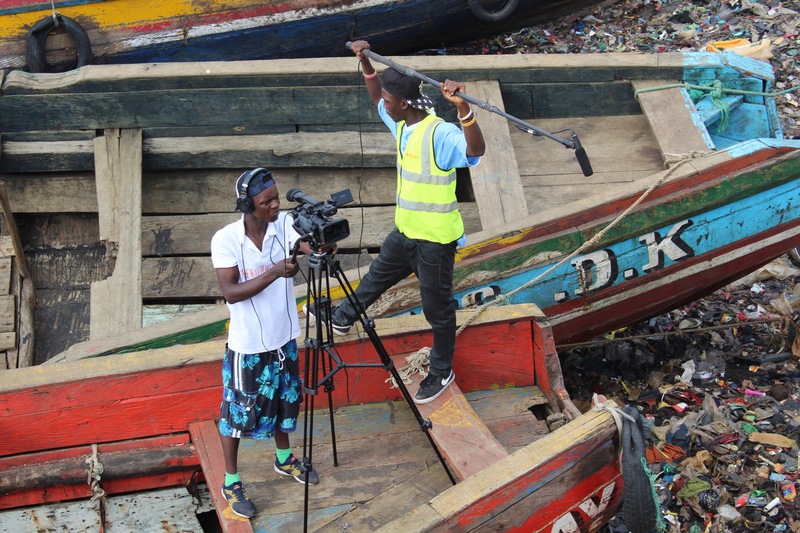 We provide studio space, access to equipment, training and opportunities so that they can tell their stories or explore issues that matter to them. 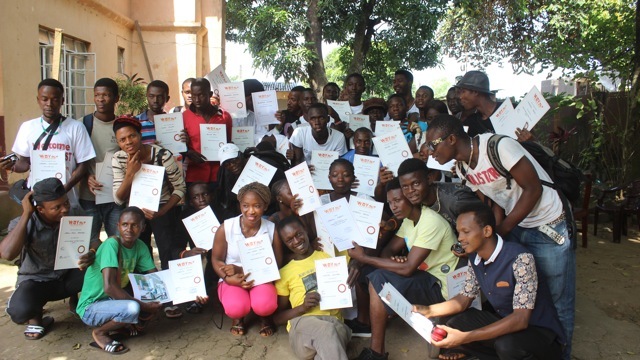 The young people benefit from the projects creatively, socially and economically. Creatively, providing an opportunity to produce work and explore their experiences and talents; socially, providing an opportunity to voice their opinions and feelings and economically, providing them with job opportunities and security for their future. Competitions- WAYout runs a variety of arts competitions. 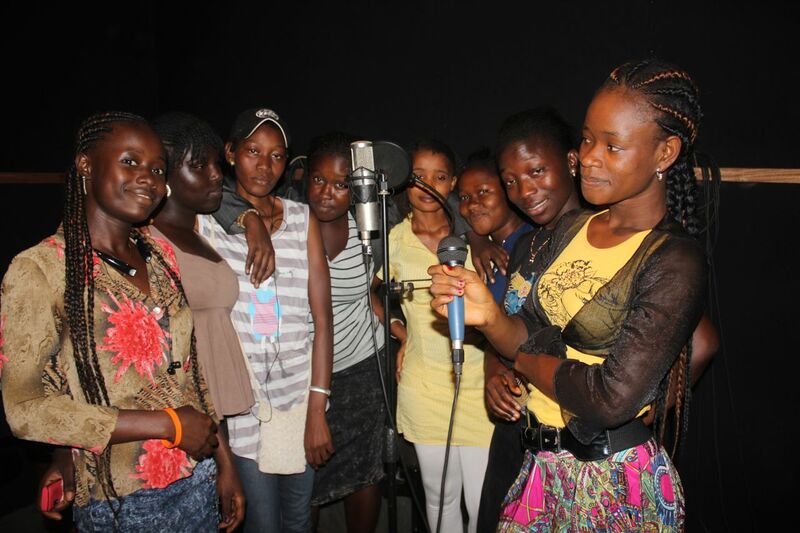 WAYout provides music scholarships to students wanting to study at Ballanta, the only music academy in Sierra Leone. Total 1040 certificates given in filmmaking, script writing, song writing, editing, journalism, studio engineering and photoshop.